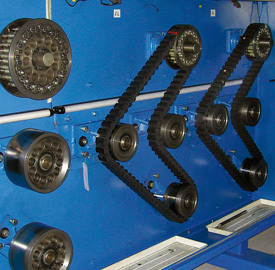 The WIESE rubber chain lies at the core of all WIESE continuous bucket and pendulum bucket conveyors. It is produced at our specially built factory in Salzwedel. 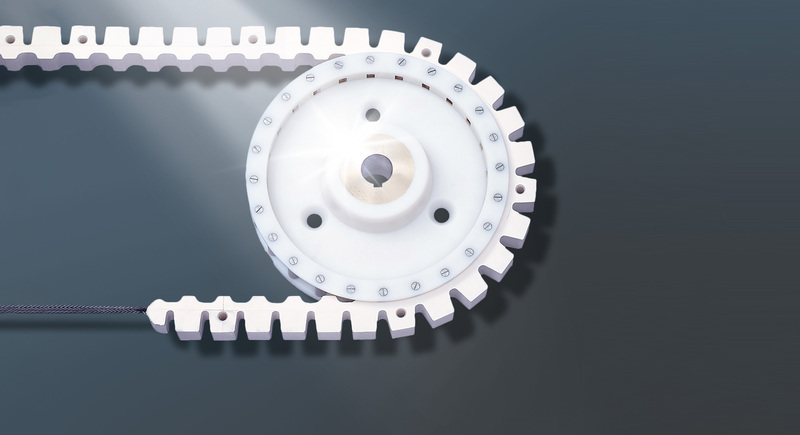 Its characteristics account for the unmatched suitability of the WIESE rubber chain as a drive element. It runs without links and vibration-free. It is thus particularly low-noise (under 65 dBA). 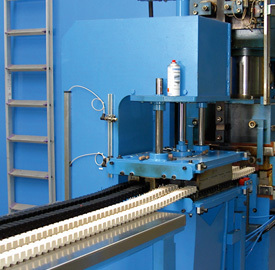 The slip-free running of the WIESE rubber chain ensures virtually maintenance-free operation. Furthermore, it produces no metal abrasion and requires no lubrication. 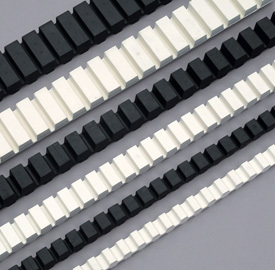 The WIESE rubber chain is available in any length vulcanized as a continuous loop or put together with link connectors. Vulcanized steel cables ensure high tensile strength. The rubber chain thus does not stretch out. 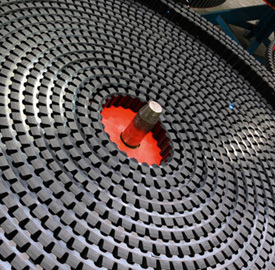 We produce various qualities of rubber: from food-grade to conductive, depending on the application required. Our quality assurance is carried out in our in-house laboratory and our own testing area. We also make every effort to consistently ensure the development and improvement of rubber qualities.